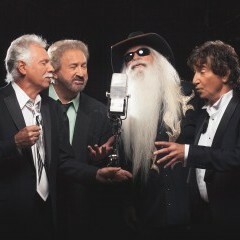 Join The Oak Ridge Boys and friends, Larry the Cable Guy, Randy Owen, Tracy Lawrence, Pam Tillis, Larry, Steve & Rudy, The Gatlin Brothers, Cruise Host Lorianne Crook, Moe Bandy, Johnny Lee, T. Graham Brown, David Frizzell, John Berry, Ben & Noel Haggard, and so many more on the greatest Country Music Party at Sea! With over 50 LIVE performances, and 25 celebrity-interactive events, The Country Music Cruise departs from Ft. Lauderdale, and make sunny ports of call in St. Maarten, San Juan, and Half Moon Cay on the luxurious Holland America Nieuw Amsterdam, The Country Music Cruise is the ultimate Country experience! Enjoy special low rates when you book with the code OAKSFAN! *These prices are “cruise only” in U. S. Dollars (USD)and are quoted per person based upon double occupancy, except for “Singles”, and do not include port charges, airfare, ground transportation, onboard purchases, purchased drinks onboard or excursions. It does include all meals, shows and onboard events produced by StarVista LIVE. *Third and fourth passengers do not receive any discounts. They remain at $1000 per additional person plus taxes and fees regardless of promo code but do qualify for a meet and greet or merchandise if included in fan package . To inquire about our "Military Rate" please call the office at 866-476-2879. To qualify for Military Rate, you must provide a DD-214 or a military ID.